Meanwhile, blockchain technology is growing out of its infancy of cryptocurrency speculation, with widespread ramifications for manufacturing operations. From autonomous drones to human-robot collaboration, here are the top manufacturing trends to look for in the new year. The growing trend of automation and data exchange in manufacturing technologies goes by the name of Industry 4.0. This presentation at Autodesk University 2018 in Las Vegas showed that this movement challenges companies to incorporate smart robots, human-robot collaboration, additive manufacturing, augmented reality, production simulation, immersive training, integration of the value chain, and decentralization and production steering to enable exponential growth and scalability in manufacturing. Analyst firm IDC expects spending on robotics systems and drones to total $115.7 billion next year, a 17.6 percent increase from 2018. Fully autonomous navigation capabilities and 3D mapping, as well as rapid improvements in battery performance and air-traffic management systems, are being used to discover sources of raw material and inspect equipment for safety. Improved sensors and the rollout of 5G connectivity to begin in 2019 will feed the ongoing expansion of IoT. 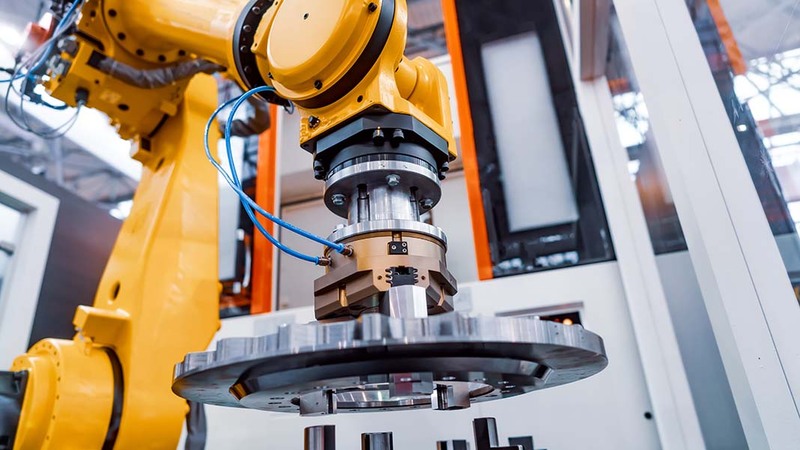 The combination of AI and machine learning in IoT allows the managing of voluminous data, generation of insights, and solutions that will increase manufacturers’ responsiveness and improve efficiency, Manufacturing.net reports. For example, a machine could respond to problems as they arise, providing instant, timely solutions so that bad products wouldn’t be produced in the first place. In 2019, blockchain technology will directly impact the speed, security, and cost-effectiveness of financial operations and transactions in manufacturing, according to Manufacturing Global magazine. In one distributed ledger system, this technology can influence different areas of management, tracking, and transaction reporting in supply chains. With a more transparent view of activity logs, manufacturers will be able to see every part in the supply chain in real time and identify problems before they become widespread. With its presence in rapid prototyping fully established, 3D printing will realize even more of its potential to make manufacturing cheaper, better, stronger, and faster. Dartmouth professor Richard D’Aveni discusses this continued transformation in his new book, The Pan-Industrial Revolution: How New Manufacturing Titans Will Transform the World, and podcast.